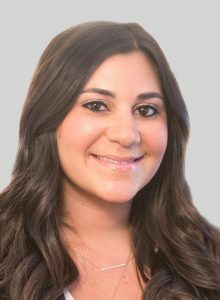 Carly Klayman is a New York (#084711) and New Jersey (#9828550) licensed social worker and behavioral therapist with expertise in Applied Behavior Analysis (ABA). After earning her Bachelor of Science in Communication Disorders at the University of Massachusetts at Amherst, Carly received her Master of Social Work at Hunter College. In addition, she earned an Advanced Certificate in Applied Behavior Analysis at Hunter College School of Education. Additionally, Carly is formally trained in Parent Child Interaction Therapy (PCIT). Carly’s passion and focus is providing behaviorally oriented treatment to children in their homes, schools and social skills groups who have a wide range of diagnoses including but not limited to: Autism Spectrum Disorders (ASD), speech and language disorders, oppositional defiant disorder, sensory integration disorders, ADHD and anxiety disorders. Carly’s experience extends to working 1:1 with children in a variety of school settings where she develops and monitors individual behavior plans, helps facilitate social interactions and teaches children how to cope with their emotions using concrete and evidence based tools. Her ability to integrate and collaborate with a child’s school team, outside providers and family is an integral piece to her work and desire to help children generalize important skills in variety of settings. Carly is skilled in the treatment of a variety of developmental and behavioral difficulties such as, activities of daily living, transitions, sleeping, toileting, aggressive behavior, low self esteem, lack of motivation, hyperactivity, inattention and separation anxiety. Her experience extends also to parent-child relationships and adjustment difficulties. She applies the principles of Skinner’s verbal behavior methodology such as request training, discrete trial instruction, natural environment teaching and error-less teaching procedures for children on the autism spectrum. Carly’s knowledge of child development, family systems, and evidence-based interventions help her to bring a unique perspective to individualized treatment with both children and their families.